James Corden kicked off his new stint as host of The Late Late Show in style last night, bringing in plenty of big name talent and at least one video that is sure to go viral. 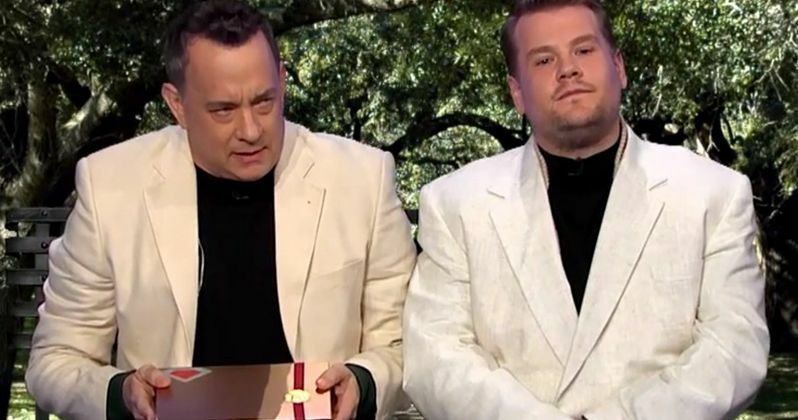 His first guests included Mila Kunis and Tom Hanks, the later of which re-enacted every one of his movie roles in 8 minutes alongside the host. Also coming onboard for the big night was James Corden's Into the Woods co-star Meryl Streep, who was joined by Arnold Schwarzenegger in a taped skit that showed James Corden getting into shape for his grueling new job as a nightly talk show host. He also did a lengthy intro, explaining to his audience who he is, where he hails from in High Wycombe, England and the fact that he has a wife and two young children.